My neighbor handed me a newspaper essay called “But how could a cell evolve?” This is one of the deepest questions in biology, and one that I discussed in an earlier issue. If DNA is essential to cell manufacture, it must have existed before the first cell existed, right? But DNA resides inside cells, and can’t function apart from cells, so how could DNA exist before cells? Darwin’s theory encounters its greatest difficulties when it comes to explaining the development of the cell. Many cellular systems are what I term “irreducibly complex.” That means the system needs several components before it can work properly. An everyday example of irreducible complexity is a mousetrap, built of several pieces (platform, hammer, spring and so on). Such a system probably cannot be put together in a Darwinian manner, gradually improving its function. You can’t catch a mouse with just the platform and then catch a few more by adding the spring. All the pieces have to be in place before you catch any mice. So monotheists insist that there must be an intelligent agent, a very intelligent agent, who designed life before life existed. For an unbeliever, this idea is far wilder than the Darwinian argument. For an unbeliever, this idea is so wild that it refutes itself — no refutation is required. I agree that a “life force” should be called “mysterious,” but why should we call it “inanimate”? We can’t say that a “life force” is animate or inanimate, we can only say that it’s mysterious, and that it behaves somewhat like living things. Why use the term “new age”? The notion of a “life force” was popular in the 19th century, and can be found in thinkers like George Bernard Shaw, Schopenhauer, etc. Even after Darwin’s theory was widely known, more philosophers questioned him than accepted him. Most philosophers believed that evolution was driven by some sort of “life force,” not just by random mutation and survival-of-the-fittest. Following Freud, I’ve spoken of a “life-instinct,” I’ve traced this instinct in civilizations, and I’ve argued that this instinct is behind what we call a Renaissance. If we see this instinct in the world around us, we’re apt to believe that the life-instinct pushes evolution forward, or at least, that it’s one factor pushing evolution forward. But I’m inclined to emphasize something else, I’m inclined to believe that some sort of synchronicity is behind what Behe calls “irreducible complexity.” I would argue that the whole universe has some sort of life, energy, even consciousness. We can see these mysterious forces in our daily lives, in quantum physics, in Jungian psychology, etc. Shouldn’t we expect to find them in evolution, too? I agree with Behe that the inner workings of a cell are extremely complex, and can’t be explained by random mutation and survival-of-the-fittest. But unlike Behe, I don’t ascribe intelligence to a god, a universe designer, a cell designer, a being who exists prior to the universe, prior to cells. Instead, I ascribe intelligence to the universe itself, to everything, both animate and inanimate, even to subatomic particles, in which quantum physics finds a kind of consciousness. We can also view evolution in terms of the Indian doctrine of Mutual Arising. Behe shrewdly points out that a cell is made of separate “departments,” as a mousetrap is made of separate elements. Each department of a cell is meaningless without the other departments, just as the spring of a mousetrap is meaningless without the hammer. So how could any of a cell’s departments evolve? There would be no survival advantage to having one department unless the cell already had the other departments. Behe is probably correct when he says that Darwin’s theory can’t explain how a cell’s departments evolved. We need a concept from the philosophy of India, the concept of “Mutual Arising.” In India, causality is seen as a net, rather than a chain. Separate parts arise together. Causality is not linear. This Indian concept seems to be closely related to Jung’s idea of synchronicity. Perhaps reason can’t grasp Mutual Arising, but this is how the world works, just as reason can’t grasp quantum physics, but it happens anyway. In 2003, I discussed Mutual Arising in relation to Proust’s life. I 2007, I discussed Mutual Arising in relation to the Iraq War. Behe’s essay shows that intelligent-design advocates are making strong arguments against the Darwinian view. Jungians can bolster their view of evolution with evidence collected by, and arguments made by, the advocates of intelligent design. In other words, we Jungians can use the intelligent-design advocates as an unpaid labor force — rather like the Spartans used their helots. While they spend long hours in the laboratory, we can amuse ourselves with our tarot cards and our sand paintings. Cell evolution is one of the key mysteries in biology. The best way to explain cell evolution is with reference to Synchronicity and Mutual Arising, with reference to the forces we see in quantum physics and occult phenomena. The Philosophy of Today is moving toward a merger of physics, biology, psychology — a Grand Unified Theory. There’s been a debate recently about whether Islam is inherently violent, or violence is a perversion of Islam. In the Koran, we can doubtless find evidence for either side. Perhaps the best way to approach the question is not by looking at the Koran, but by looking at the origin of Islam — the actions of Muhammad and his followers. Does the life of Muhammad sanction violence, even terrorism? Born in Mecca in 570 AD, Muhammad was orphaned at an early age, and was raised by an uncle. As a young man, he worked as a merchant, and made occasional visits to a cave in the mountains, where he would pray in seclusion for several days. When he was about 40, Muhammad said that he was visited by the angel Gabriel, and that he received a revelation from God. Three years later, Muhammad began preaching, proclaiming that he was a prophet and messenger of God, that God is one, and that complete surrender to God is the only way (Islam = surrender, Din = way). In 620, it is said that Muhammad experienced the “Isra and Mi’raj.” The first part, Isra, was a night journey on a winged horse, accompanied by Gabriel, to the farthest mosque, perhaps Jerusalem’s Al-Aqsa Mosque (Al-Aqsa = the farthest). The second part, Mi’raj, was an ascent to heaven; it is said that Muhammad toured heaven and hell, and spoke with earlier prophets, including Abraham, Moses, and Jesus. After preaching for several years, Muhammad had only attracted a few followers. Some tribes in Mecca perceived him as a threat to traditional ways, and wanted to stamp out this new religion. In 622, Muhammad and his followers fled from Mecca to Medina. This flight is called the Hegira (or Hijra), and marks the beginning of the Islamic calendar. Medina was torn by infighting between Arabs and Jews, and by blood feuds. The people of Medina viewed Muhammad as a neutral outsider who could arbitrate disputes, and bring peace to their community. Muhammad established the Constitution of Medina, which united Medina’s Arab tribes. But the Jews of Medina wanted to keep their traditional, Mosaic law, and felt that Muhammad couldn’t be a prophet because he wasn’t from the House of David. Muhammad expelled from Medina one of the three Jewish tribes, the Banu Qaynuqa. Later he expelled a second Jewish tribe, the Banu Nadir. In 624, Muhammad said that God told him to face Mecca while praying, rather than facing Jerusalem (Salah = prayer, Qibla = direction of prayer). The Muslims who had fled Mecca with Muhammad had left their businesses and much of their property behind. To support themselves, they raided Meccan caravans, and fought with Meccans. Muhammad delivered verses “permitting Muslims to fight the Meccans.” In 624, Muhammad led 300 warriors in a raid on a caravan at Badr. The Meccans learned about this raid in advance, and assembled a much larger force to protect the caravan. Muhammad’s warriors defeated this larger force in the Battle of Badr, and ascribed their victory to divine assistance. The victory at Badr brought new converts to Muhammad’s religion. The Meccans wanted revenge, and sent a force of 3,000 against Medina. At the Battle of Uhud, the Meccans defeated the Muslims. The Muslims attacked a Jewish tribe, the Banu Qurayza, accusing them of conspiring with the Meccans. After the Banu Qurayza surrendered, it is said that all the men were beheaded (with the exception of a few converts to Islam), and the women and children were sold into slavery. Muhammad made peace with the Meccans (the Treaty of Hudaybiyyah), a peace that lasted two years. Meanwhile, Muhammad attacked the Jewish town of Khaybar, defeated it, and demanded the payment of tribute. He also attacked an Arab tribe in the city of Mu’tah, which is now in Jordan, and was then in the Byzantine domains (though there are differing accounts of the Battle of Mu’tah, it’s generally agreed that it wasn’t a Muslim victory). In December 629, the peace treaty with Mecca came unraveled. Muhammad assembled a force of 10,000 and marched on Mecca. Mecca put up little resistance, and was conquered easily. Most Meccans converted to Islam. Then some tribes near Mecca banded together, and formed an army larger than Muhammad’s. Muhammad defeated this army at the Battle of Hunayn. After this victory, Muhammad continued extending his control over the Arabian peninsula — making converts (often by force), destroying pagan idols, etc. In 632, ten years after the Hegira (the flight from Mecca to Medina), Muhammad made his first pilgrimage to Mecca (Hajj = pilgrimage to Mecca). This pilgrimage is sometimes called the Farewell Pilgrimage. Afterwards, Muhammad delivered his Farewell Sermon at Mount Arafat, near Mecca. A few months later, Muhammad died of illness in Medina; he was about 62 years old. Near the site of his death is his tomb and a mosque that he is said to have established. The mosque is called Al-Masjid an-Nabawi (Masjid = mosque, Nabawi/Nabi = prophet). This mosque has been expanded since Muhammad’s time, and now includes Muhammad’s tomb. This mosque is the second holiest place in Islam, after Mecca’s Grand Mosque (Masjid al-Haram). The Wahhabi sect started in central Saudi Arabia in the 1700s; it was started by a preacher named Wahhab. Wahhab formed an alliance with a local leader, bin Saud. Thus began the long connection between Wahhabism and the House of Saud. Today Wahhabism is the official creed of Saudi Arabia — the official form of Sunni Islam in Saudi Arabia. The Wahhabi movement can be compared to the Reformation in Western Christianity, and to the Iconoclast movement in Byzantine Christianity. In the thirty years after Muhammad’s death, the caliphate expanded dramatically, conquering vast regions that had been controlled by the Byzantines and Persians. This thirty-year period is known as the Rashidun Caliphate (the “Rightly Guided” Caliphate, Rashid = guide, Caliph = successor). When Muhammad died, his friend Abu Bakr was chosen to lead the Muslim community (Ummah = community); one might say that Abu Bakr was chosen by general consent. Abu Bakr was Muhammad’s father-in-law, and also the first Muslim outside Muhammad’s family. Abu Bakr’s reign lasted slightly more than two years. The largest Shiite sect is called “Twelver,” because they believe that there were twelve Imams or leaders. They believe that the last Imam, Muhammad al-Mahdi, is hidden and will reappear as the promised Mahdi. Abu Bakr was succeeded by Umar, who was also a close associate of Muhammad. Umar’s reign lasted about ten years. He greatly enlarged the Muslim domain, while allowing conquered territories to keep their religion, their customs, and a measure of self-government. He required only that conquered territories obey his governor (emir), and pay a tax to the caliphate. In 644, Umar was assassinated by a Persian slave. Before Umar died, he began a process to choose his successor. Two men were considered to succeed Umar, Uthman and Ali. In the end, Uthman was chosen, and he reigned for twelve years. But in the latter years of his reign, there was some opposition to him, especially in Egypt, where Ali seemed to be preferred. Opposition to Uthman eventually became open rebellion, and the rebels killed Uthman himself. Ali was chosen to succeed Uthman. There were demands to punish Uthman’s killers, and these demands grew into a rebellion. Ali and his army met the rebel army and defeated it. Then another rebellion broke out, led by a relative of Uthman, Mu’awiya. Ali confronted this new army, but the battle resulted in a stalemate. In 661, after a five-year reign, Ali was assassinated. Ali was succeeded by his son, Hasan ibn Ali, but the caliphate was largely controlled by Mu’awiya. Hasan tried to reach a compromise with Mu’awiya, but Hasan was assassinated in 670, and Mu’awiya consolidated his power. The Rashidun Caliphate came to an end, and Mu’awiya founded the Umayyad Caliphate. When Mu’awiya died in 680, his son Yazid came to power. Meanwhile, Hasan’s brother, Husayn ibn Ali, staked a claim to power. Husayn and a small number of followers traveled from Mecca toward Kufa, an important city in Iraq. Before they reached Kufa, they were confronted by an army sent by Yazid. At the Battle of Karbala, Husayn was defeated, killed, and beheaded. Shiites still mourn the death of Husayn and his followers; the Shiite mourning rituals are called Ashura. Karbala, and its Imam Husayn Shrine, is sacred to Shiites, and millions of pilgrims visit every year. What conclusions can we draw from this historical sketch? It’s clear that Muhammad wasn’t an apostle of peace. He was a political and military leader, as well as a spiritual leader. He was involved in constant wars; he and his followers were often on the offensive. Since the sword was their primary weapon, beheading was the usual method of execution. Doubtless this explains why today’s terrorists have a penchant for beheading. On the other hand, we shouldn’t view Muhammad as an apostle of violence. He was a great spiritual leader, as well as an effective political/military leader. His followers often lived peacefully with other faiths, and they created a great culture. The actions of Muhammad and his followers throw light on the essential character of Islam, but they may not be the chief inspiration of today’s Islamic terrorists. These terrorists are probably inspired by modern Muslim writers, writers like Qutb and Shariati, who developed a Jihad Philosophy. This Jihad Philosophy prompted people like bin Laden to reject the West, turn to the Koran, and use violent methods. 3. The Death of Culture? I see no reason why the decay of culture should not proceed much further, and why we may not even anticipate a period, of some duration, of which it will be possible to say that it will have no culture. Unlike in science, in culture there is not a clear line of progress. Progress has little to do with culture. The history of culture is one of highs and lows, mountains and gulleys.... Today, people in a position to know would argue, we are in a deep cultural gulley. If there are any powerful novelists now at work, I do not know who they might be. Contemporary painting and sculpture have long seemed more about money than about art.... Contemporary art across the board has lost its power. The question is, though, have the arts generally become less interesting, or has the audience for the arts become less interested because its interest has been deflected elsewhere? Most likely both have combined to land us in the present state of extreme thinness of culture. What culture we have today is backward-looking (Mozart, Michelangelo, etc.). Not all high culture has been obliterated. Serious music schools — Juilliard, Eastman, Peabody — are up and running, turning out performing musicians and singers.... Major art museums mount exhibitions of old and modernist masters. But these institutions are living off the culture of the past.... In our day [the avant-garde] has gone out of business. Matthew Arnold, the great Victorian promulgator of the gospel of culture, held that poetry “is criticism of life,” and criticism itself is “a disinterested endeavor to learn... the best that is known and thought in the world.” Culture was attained through finding and pondering that best. Epstein says that, a couple generations ago, culture was divided between high-brow, middle-brow, and low-brow. High-brow artists had the task of creation, high-brow critics the task of passing judgment. High-brow critics decided what qualified as high culture and what didn’t make the cut. Furious arguments sometimes raged around whether a given body of painting, novels, plays, poems, music was authentically superior.... No one passed the gate of high culture without his or her passport being stamped by such men. No one today, in any field of criticism, has their authority. Instead of looking for what’s “authentically superior,” we look to fill a quota. Instead of looking for profound truths, we look for comments on race, gender, etc. University English and foreign-language departments, once a citadel of high culture, began no longer to evaluate literature in the interest of forming a canon of the very best writing; they preferred instead to diddle with theoretical distractions touching on what literature and movies and graphic novels and comic books and television shows tell about race, class, and gender. The universities’ emphasis on diversity, carried out under the banner of multiculturalism, has also helped devalue high culture.... Equality and what was perceived as justice were deemed to take precedence over high culture. Any other way leads to elitism, and elitism, in an ethnically democratic age, is one of the ugliest words going. The force of culture is cumulative, its vehicle of transmission is tradition. The great essay on this subject is T. S. Eliot’s “Tradition and the Individual Talent”.... “The past [Eliot writes] should be altered by the present as much as the present is directed by the past.” Culture comprises connections and interconnections between past and present, and these in turn comprise the future of culture. Epstein overlooks the possibility of new truths, new religions, new philosophies. He doesn’t realize that a Philosophy of Today can re-define The Canon, and also propel culture into the future. Much of Epstein’s essay reviews a recent book by the Peruvian writer Mario Vargas Llosa. That the loss of high culture is an international phenomenon is revealed in Mario Vargas Llosa’s recent collection of essays, Notes on the Death of Culture. 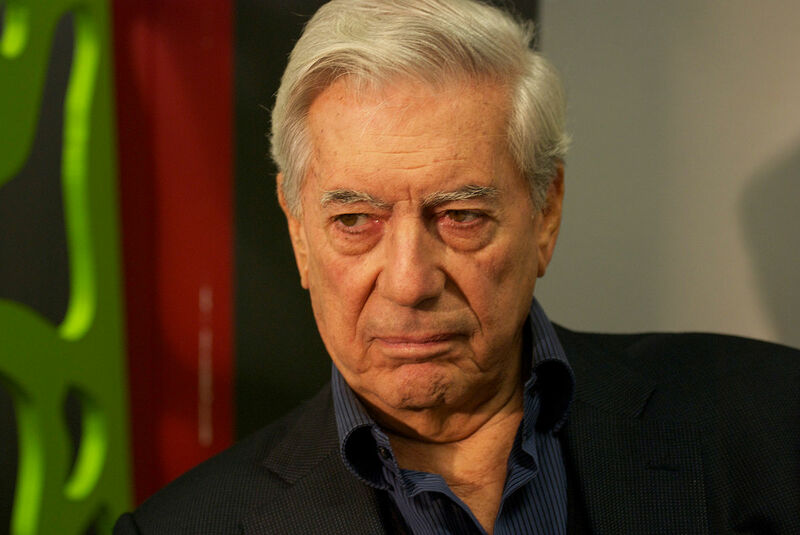 Along with the Czech novelist Milan Kundera, Vargas Llosa is the last of the international literary figures still at work, and a man with an impressive oeuvre as a novelist and a strong enough political activist streak to have run for the presidency of his country in 1990. In Notes on the Death of Culture Mario Vargas Llosa has composed a tirade, attacking journalism, French literary theorizing, sexual relations drained of eroticism, the surrender of intellectuals, the lack of complexity in contemporary literature, the absence of authoritative criticism, the depredations of political correctness and dumbing down. Tirade his book may be, but a most compelling one it is, because backed up by examples and analyses and global in its compass, and with the anger usually associated with tirades here replaced by sadness for a lost world. In the culture of spectacle, [Epstein writes,] the great figures are chefs and fashion designers, athletes and actors, television journalists.... The culture of spectacle has no interest in ideas. Nor does television, its main medium, which makes all ideas banal. Today it is not difficult to imagine a world devoid of high culture. In such a world museums will doubtless stay in business, to store what will come to seem the curiosities of earlier centuries.... The diminishing minority still interested in acquiring the benefits of high culture will have to search for it exclusively in the culture of the past. No longer a continuing enterprise, high culture itself will become dead-ended, a curiosity, little more, and thus over time likely to die out. Life will go on. Machines will grow smarter, human beings gradually dumber. Round the world the vast majority might possibly feel that something grand is missing, though they shan’t have a clue to what it might be.